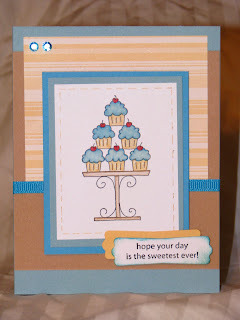 Using the crazy for cupackes set from SU and the colors are Baja, caramel, apricot, turquoise and white. I also used the new moderen punch from SU. Great job! Beautiful colors! Thanks for sharing the link! Blessings to you!